Less is more with the frameless DS1150 gas fireplace by Escea, offering high efficiency in a minimalist design. Escea’s latest release, the DS1150 gas fireplace, gives less of everything to give more than ever before. Visually, the fireplace has less frame and unnecessary detail so that users can focus on the flames. 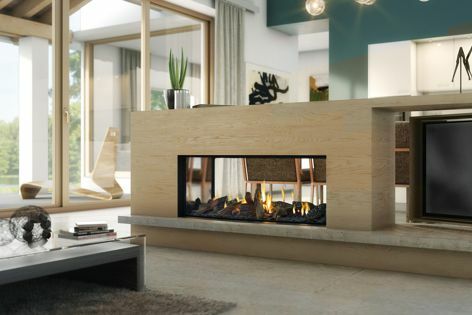 It has less wasted heat, with a higher efficiency rating, and less depth, resulting in a sleek fireplace that uses a smaller footprint in the home.